Customers often ask us for babka around Easter. Unfortunately, we do not make these but we encourage you to make it at home. 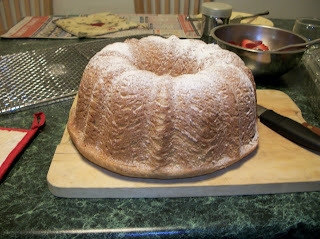 Below is a family recipe for babka - It will make a great addition to your Easter celebration! Beat in the egg yolks and salt. Add the zest, vanilla, and citrus flavorings. Add the yeast/water and milk. 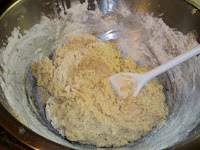 Stir in the almonds and raisins and turn out the dough onto a floured surface. Knead the dough briefly, using just enough extra flour to make it smooth and elastic. Transfer it to a greased bowl and let rise (about 2 hours). When it has doubled, punch it down and form the dough into a ring. 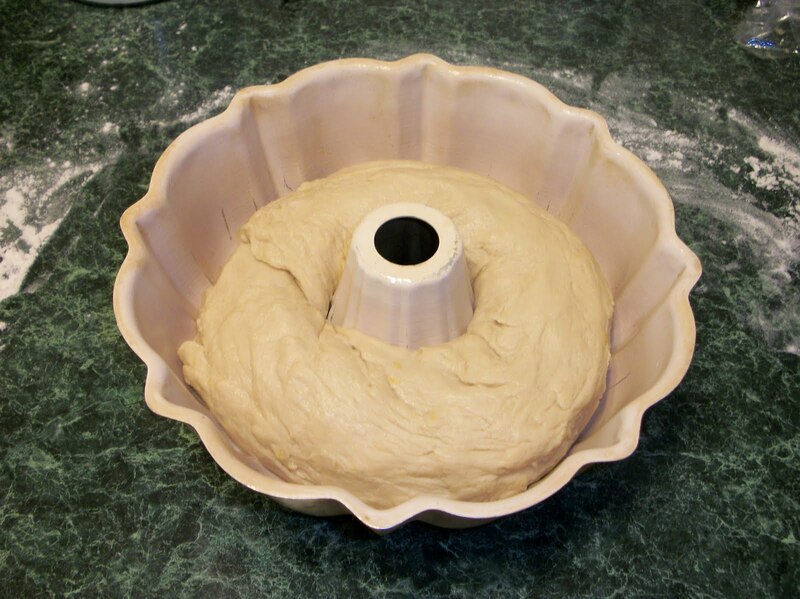 Put it into a greased babka or bundt pan and let it rise again until doubled. Let the Babka cool in the pan until you can handle it, then turn the bread out onto a rack and let sit until completely cooled. When it is ready, dust with powdered sugar and serve. Hopefully you will use this recipe to bring back some memories, or create some new ones, for you and your family. Enjoy! Your recipe looks good. My mother who was born on the Polish border was not Polish always made hers with 12 eggs. Sybolism of the 12 apostles. Very rich and so memorable. Miss you mom! !